Scrumptious! Oh…My…Goodness…how did I live without them all these years? I love potatoes but I try to be good and limit my Carb intake but good golly, once in a while ya just gotta let go and LIVE! I do not regret this. Nope, not one little bit! 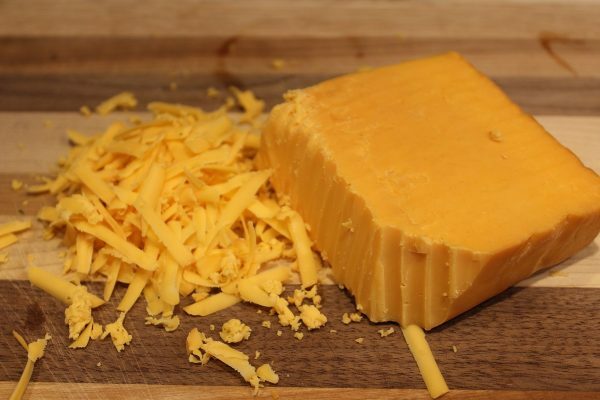 The idea for this recipe came about because some kind and generous neighbors gave us a wedge of their homemade Smoked Cheddar Cheese. That’s right. “Homemade!” It is out of this world delicious and I wanted to take full advantage of how wonderful it tastes. I normally would include crispy Bacon crumbles in my twice baked potatoes but the Bacon was frozen and there was not a smidgen of plain Cheddar anywhere in this house. 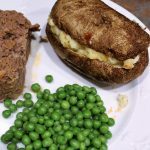 So, I looked at that russet potato I held in one hand and that wedge of Smoked Cheddar in my other hand and said “I’m going in!” Leaving the Bacon out and using the Smoked Cheddar, I was able to achieve that smokey flavor that Bacon would have provided and saved both some fat and calories. Ready? Let’s build us some Smokey Cheesy Baked Tatars then sigh with happiness. Scrub Potatoes under water until clean. Pat dry and prick with a knife. 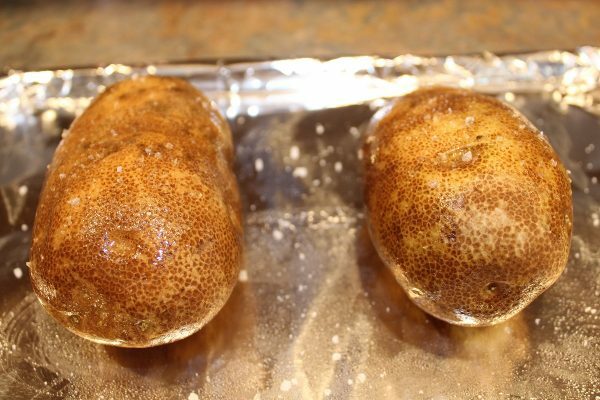 Place Potatoes on a foil covered baking sheet. 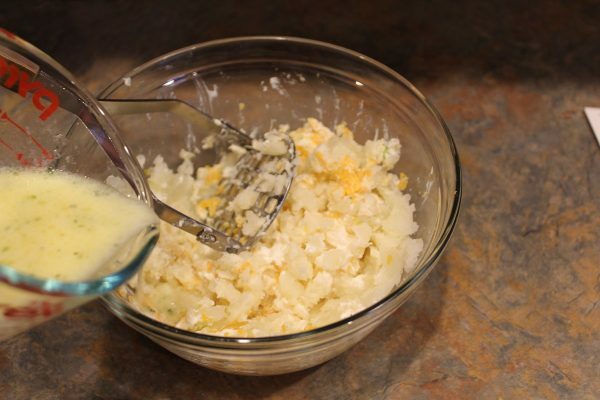 Rub each Potato with Salad Oil and sprinkle with Kosher Salt. Bake at 400° F until done. Remove from the oven and let cool 5 minutes until easy to handle. 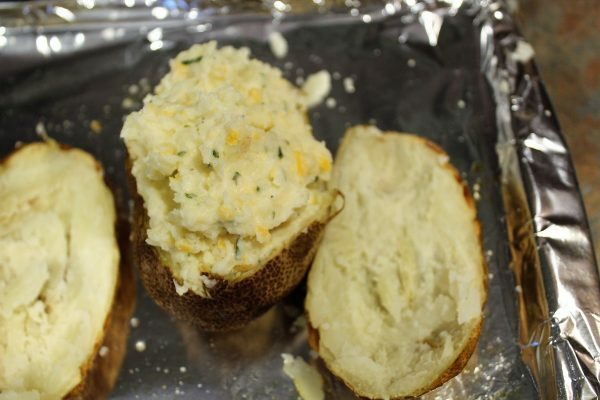 With a sharp knife, cut the top 1/4 off the Potato and reserve. 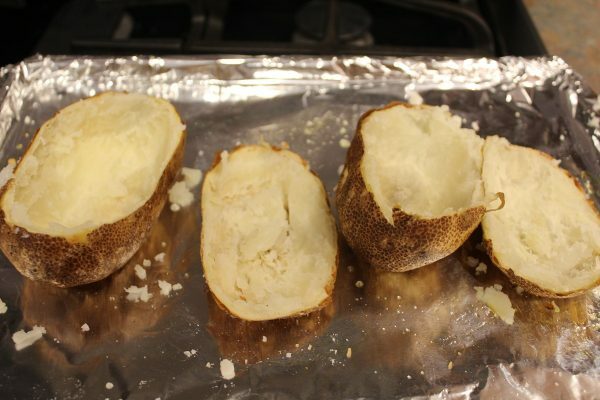 Scoop the Potato flesh from both the top and bottom of the Potato into a bowl leaving a 1/4 inch thick shell. 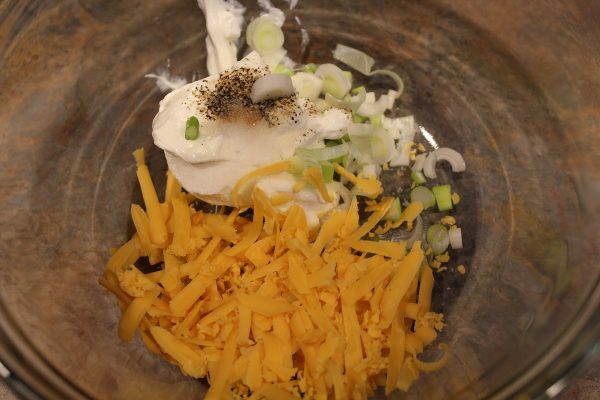 In a small bowl combine the Cheese, melted Butter, Milk, Sour Cream, Salt, Pepper, Parsley and Green Onion. Pour the above into the removed Baked Potato. 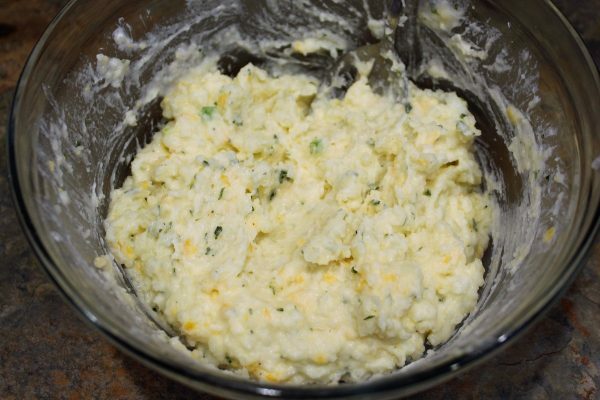 With a hand held Potato Masher or an Electric Mixer, mash the Potatoes and other ingredients together until well combined and fluffy. Like this. If you like lumps, fine. If not, continue mixing until the consistency you like. 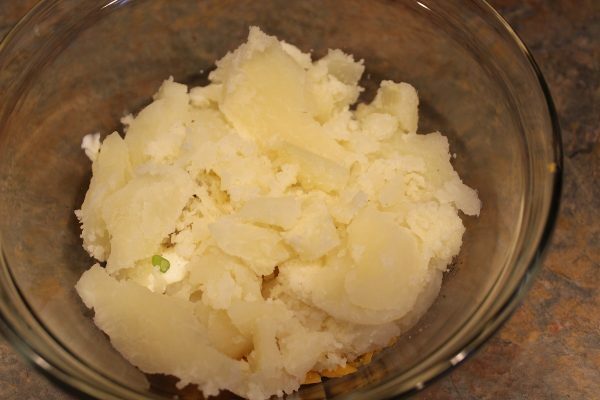 Spoon the mashed Potato mixture back into the Potato Shells, mounding as high as you can. Put the reserved "lid" back on the twice baked Potato. 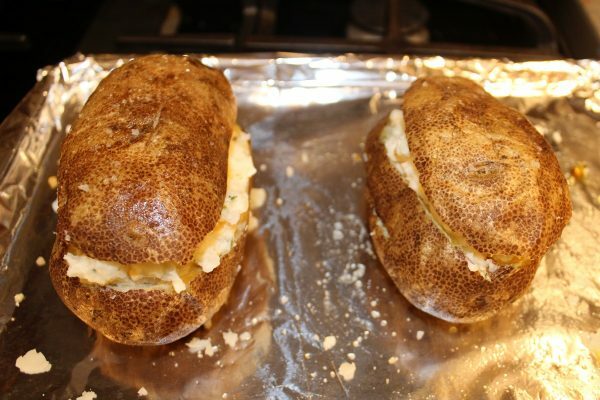 Place back into the oven for another 20 Minutes until the Potatoes are heated through and the cheese has melted. OK folks....that's it! 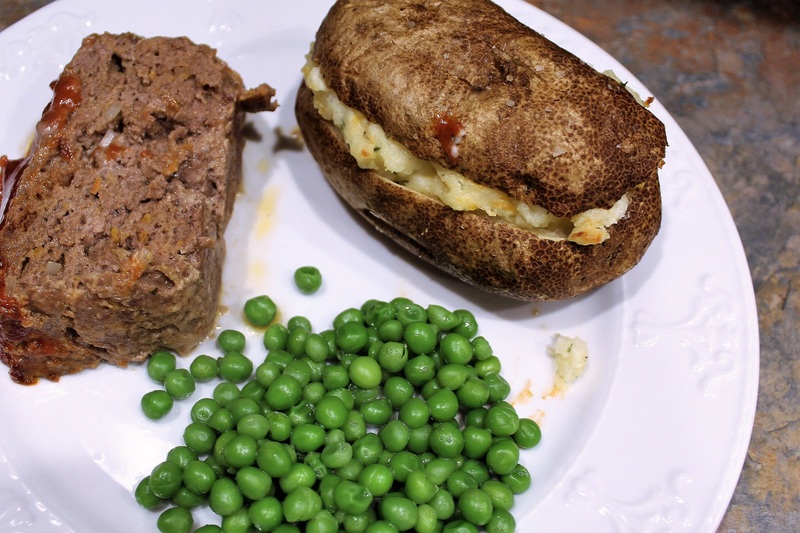 Serve alongside Meatloaf as shown, or with your own favorite Steak, Chicken or Pork recipe! Oh my goodness!!! So glad you all stopped by today my friends. Wishing you could be here for a cup of tea and a cookie or 3! Please visit my website at: www.thejourneygirl.com and leave me a comment. I love hearing from you all. Util next time, I wish you neighbors like the ones we have here in the back of the beyond. Neighbors who look out for one another and share their bounty and talents.